England all-rounder Ben Stokes has been found not guilty of affray following a trial at Bristol Crown Court. A 12-person jury found Stokes and co-defendant Ryan Ali not guilty by unanimous verdict on Tuesday. Both men had argued they were acting in self-defence during a fracas that occurred in the early morning of September 25 in Bristol, several hours after England's one-day international against West Indies in the city. Stokes was alleged to have knocked Ali and Ryan Hale unconscious, but told a jury he felt "under threat" at all times during the incident. He said had intervened to defend two gay men who were the target of homophobic abuse from Ali and Hale, a claim that was denied. Ali was alleged to have used a bottle during the fight. He and his counsel also told jurors he was acting solely in self-defence. Mr. Hale, a third defendant in the trial, was acquitted last week on the directions of judge Peter Blair QC, who ruled there was insufficient evidence against the 27-year-old. Stokes and Ali shook hands on leaving the dock. Following the verdict, an Avon and Somerset Police spokesman said: "We carried out a thorough independent investigation into the events of 25 September before passing a comprehensive file of evidence to the Crown Prosecution Service which subsequently made the decision to charge. The former could now return to England's Test squad for the ongoing series against India, having missed last week's game at Lord's due to his trial. Trent Bridge hosts the third Test from Saturday. A statement from the England and Wales Cricket Board (ECB) on Monday read: "The ECB will make an assessment of Ben Stokes' availability after the trial in Bristol has concluded." 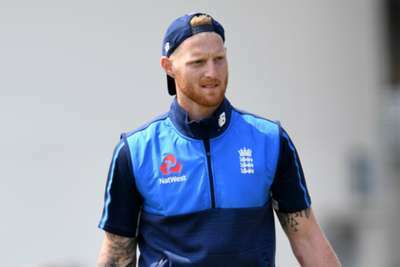 Stokes previously missed England's 4-0 Ashes defeat in Australia and the subsequent ODI series as he waited to hear whether he would be charged, before returning in 50-over matches against New Zealand in February and March.